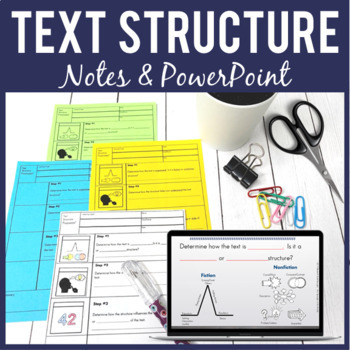 Teach your Middle School students how to analyze the structure of texts and how specific parts relate to each other and the whole with a PowerPoint and scaffolded visual notes that I call Pixanotes®. A perfect way to help teach R.CCR.5! Pixanotes® are a blend of the structure of traditional two-column notes and visual/interactive notes. 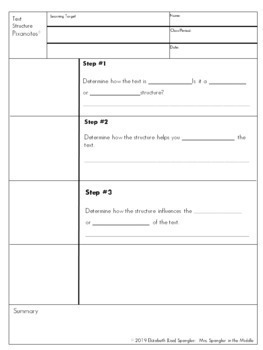 There are 4 versions all with the same content so that each student can get what he or she needs. ★ PowerPoint that matches the notes. 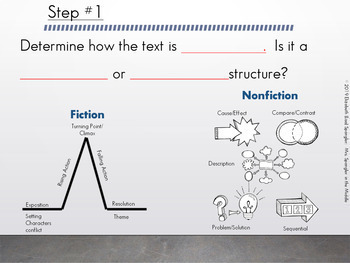 If you are looking for something that teaches what the text structures ARE, then please click here to see my full lesson on this! © Mrs. Spangler in the Middle (Elizabeth [Lisa] Spangler) All rights reserved by the author.